NUUO Crystal™, The Linux Enterprise Solution | NUUO Inc.
NUUO Crystal™ is the product that represents the next stage in VMS evolution. Rock solid, easily manageable, with powerful recording and viewing options available. Featuring revolutionary modular system structure that is made to handle large project size, NUUO Crystal™ is the ideal choice for your enterprise. Featuring technology that focuses on delivering stable video recording performance, recording failover, and 3rd party integration choice, you will be impressed with the stability and flexible options with NUUO Crystal™. • High throughput: supporting up to 256 channels, 250~1024Mbps(CT-8000R/CT-8000RP/ R3-1600CT). Centralized Management: Unlimited cameras, access control, POS and I/O devices for centrally configuring, user authority management, integrated video and 3rd party monitoring, system status overview, event handling, and cluster recording failover management. Multiple and High Channel Streaming: Stream up to 320 connections per server to multiple clients simultaneously for live view. Support multiple stream profile from cameras, displaying lower bit rate but still record with good quality. 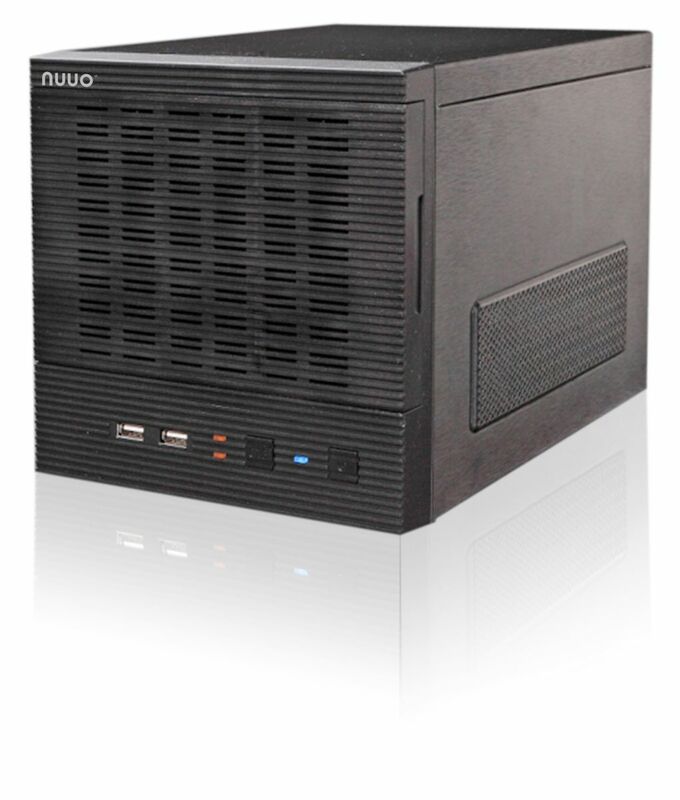 All Service in One NUUO Crystal™:Built in Management Server, Recording Server, Recording Failover Server, and Metadata Server in one NUUO Crystal™. Enable necessary services to meet different system scope and demand. Recording Failover Server Group (available in Ultimate): Flexible N+M server cluster structure to maximize system reliability, uptime, and efficiency. Multiple Video Codec Support: NUUO Crystal™ supports H.265, H.264, MJPEG, MPEG4 and MxPEG for best quality and storage usage. Automatic NUUO Crystal™ Search: Automaticly search for all Titans in the network. Dual Gigabit Ethernet Ports: NUUO Crystal™ is equipped with 2x gigabit ports. User can separate the recording stream from viewing stream to ensure the cleanest recording pipeline. License Management: Extend Recording Server to 64CH per server by license activation. Supports online/ offline activation and transfer. Scalably upgrade system from Enterprise to Ultimate by upgrade license. NTP Date/ Time Synchronization: The system can interface to Internet Time Server (NTP server) for time and date synchronization at each location. Management Server can play the role as NTP server on LAN environment. Watchdog: Support software watchdog and hardware watchdog (CT-8000R and CT-8000RP) to system stability. Advanced Intelligent Video Surveillance: NUUO support counting filters including people counting, vehicle counting, stabilizer and tamper detect and 8 types of surveillance suite including presence, enter and exit, appear, and disappear, dwell, tailgating, stopping, direction and tamper detect. High Recording Throughput (250Mbps for Single Volume Group): Process large amount of data throughput boost NUUO Crystal™’s recording performance to 250 Mbps for single volume, about 256CH (R3-1600CT). Volume group mechanism can further increase the throughput. Individual Recycle Condition (IRC) Per Device: NUUO Crystal™ supports individual recycle condition (IRC) for each video or metadata device. Videos within specified retention time periods will be protected from recycling deletion. Videos outside the retention time periods will be automatically deleted. 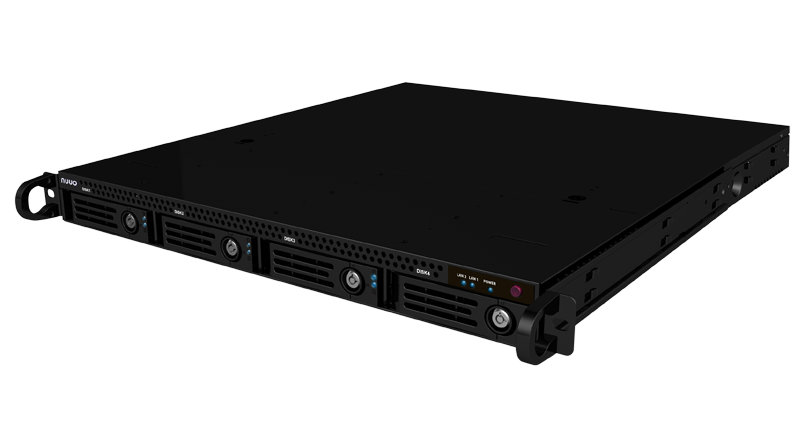 RAID: Support RAID 0,1,5, 6 and 10 for maximum capacity or data protection at the HDD level. 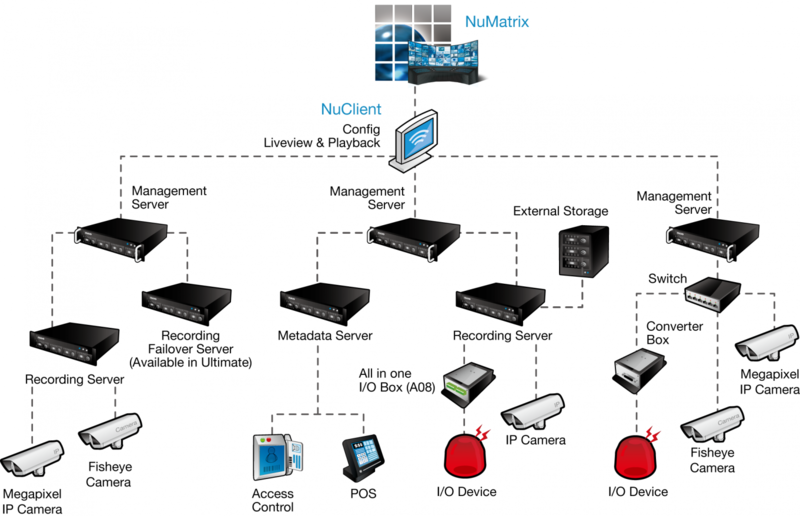 Multiple Recording Mode: NUUO Crystal™ supports multiple event-based and schedule-based recording modes. It also supports pre-event and post-event record to make sure seamless protection. Edge Motion: Support camera edge motion detection, reduce server loading and ensure stability. With event-action management and recording mode in NUUO Crystal™, user can monitor system easily. Cross Platform: NuClient and Video Wall support both Windows and MAC OS. The web client support both IE browser and Windows Firefox. Redundant Power Supply: CT-8000RP supports internal redundant power supplies. This ensures seamless operation even when the primary power supply has failed. Failed power supplies can be replaced while system is still operating. APC UPS: NUUO Crystal™ support external UPS (Uninterrupted Power Supply) power supplies which provide clean uninterruptable power. **Ultimate, Enterprise and Professional licenses are not compatible with each other. Only 1 type of license can be installed into a single management server.